Hello, beloved readers! My whole life, I’ve been praising Pokemon Emerald as the best Pokemon game, however, this was changed forever one fateful day a couple of weeks ago. I was in the EB Games, trading in some used games for credit. When I picked up a copy of Super Mario 3D World, my father wouldn’t let me purchase it (I later received it as a holiday gift), so I instead purchased the first thing I saw that caught my eye: a Pokemon game I hadn’t played! I took it home, popped it in my 3DS, and fell in love. 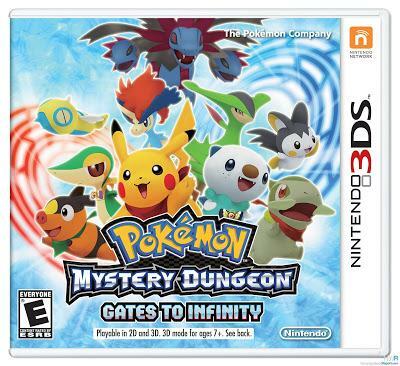 I’m here today to tell you why Pokemon Mystery Dungeon: Gates to Infinity is my new second favourite game of all time! And for those wondering how this differs from previous titles, there’s an analysis within the review as well.